Transnet Chairperson Popo Molefe says the state-owned enterprise's board expects a “proper response” from its CEO Siyabonga Gama by Monday afternoon on why he should not be suspended after he and two other executives were placed on precautionary suspension last week. “By the time I left the office in Sandton I had not received them [responses], but I expect to receive them [Monday],” Molefe told the media after arriving at the 2017/2018 financial results presentation by the state freight and ports company in Kempton Park. On Thursday last week Transnet announced that Gama, Chief Advanced Manufacturing Officer Thamsanqa Jiyane, and Supply Chain Manager Lindiwe Mdletshe had been served with suspension notices. This followed investigations by Werksmans Attorneys, Mncedisi Ndlovu & Sedumedi Attorneys and Fundudzi Forensic Investigators. “In view of the seriousness of the alleged transgressions, the Transnet board is concerned that the continued presence of the three employees, given their seniority and influence might interfere with and jeopardise the investigation,” Transnet said in a statement at the time. The three were given until Monday to explain why they should not be suspended while further investigations take place. One of the accusations that Gama will have to reply to is that he received help from global consultancy McKinsey to prepare part of his thesis to obtain his MBA. In a letter sent by Gama to Molefe on August 17, and seen by Bloomberg, the Transnet CEO said he believes there is a plan to suspend him regardless of his submission. Molefe on Monday denied that suspensions of Gama and the two other executives had been pre-determined. Molefe said Mdetshe had requested and been granted an extension until Friday to submit reasons why she should not suspended. He said chief Jiyane had responded. During the group's results presentation on Monday morning, Gama refused to answer questions about his possible suspension, saying it is an internal matter. As Fin24 reported earlier, Transnet reported a significant increase of irregular expenditure to R8.1bn in the 2017/2018 financial year, up from R692m in the previous financial year, triggering a qualified audit. Molefe said that focus should be placed on the strong operating results delivered by the state-owned enterprise, with revenue increasing by 11.3% to R72bn in 2017/2018. This was chiefly driven by an uptick in export coal volumes transported by rail, automotive volumes and port containers. “Certainly irregular expenditures are a great concern and that is why the board is currently seized in that matter looking at all the reports that have been submitted to Transnet and taking legal counsel on the implementation of various aspects of those reports,” Molefe said. 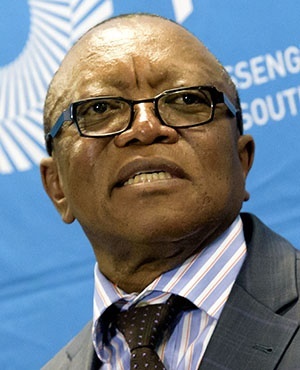 The chairperson has warned of further suspensions as he tries to clean up corporate governance. He has also complained that the board is unable to take decisions as they cannot rely on the information given to them by executives. The Zondo Commission of Inquiry -a judicial commission of inquiry into allegations of state capture which began in Monday, is expected to probe allegations of corruption at Transnet, including the R54bn contract with China South Rail for 1064 locomotives. It is alleged that the freight company overpaid and kickbacks for the transactions flowed to associates of the Gupta family.